10. Use guest bloggers on your company blog. We understand that it may be hard for companies to find the time to be blogging daily or weekly. That’s why using guest bloggers on your site is a good idea. Not only does it save your time and energy, but also enables you to open up a new network of connections. You will have the ability to provide your readers with some new insights, as well as have an in to your guest blogger’s network. 9. Customize your Twitter account. When you create your business’s Twitter, it is a wise decision to brand it. Upload some logos or a custom image to your background. Change all the colors to coordinate with your company’s color scheme. It shows your followers that you are putting effort into your social media presence, and not there just to sell. Own your page! 8. Name your images and video content. SEO plays an important role when creating an online presence for your business. If you are using images in your blogs, (which you should be), it is important to name them according to your post. For example, the image above is titled “Progressive Media Concepts Social Media Tips.” There is alt text too that needs to be filled out. This is a kind of “behind the scenes” text that should be keyword rich in order to optimize your SEO. These tips apply for video content on blogs and YouTube as well. 7. Keep your social media contests simple. Facebook, Twitter and blog giveaways are always a great way to engage your audience. When there is an incentive, consumers are more likely to interact with your brand. But keep the rules SIMPLE. Try keeping the entry rules on one social network. For example, have your fans Like you on Facebook, tweet you about their favorite hobby, or leave a comment on a blog post. The easier it is, the more interaction you will see. 6. Optimize your LinkedIn profile. LinkedIn is a great platform to make long-lasing professional relationships. Users are always searching on LinkedIn for networking and recruiting opportunities. Want to get found? Use keywords throughout your LinkedIn profile, especially in your title. The more relevant search terms you have, the more likely you will come up earlier in results. 5. Leave room to retweet. Using Twitter for business is important when trying to gain more exposure. It is a highly interactive platform that requires its users to create interesting content in 140 characters or less. If you want to gain awareness on Twitter though, you have to use less than 140 characters so that your followers can retweet you. If you are creating good content, your followers will be more likely to share it with their network, exposing you to a whole new world of potential fans. 4. Get more blog subscribers. The more subscribers you have, the more often your blog will get read and shared. In order to optimize your blog, make sure you keep your “click to subscribe” widget at the top of your sidebar. This is where readers will notice it most, since it won’t be lost amongst your other widgets. 3. Shock your readers. It’s easy to play it safe in your social media posts, but it will not be efficient in getting your fans to interact with you. Once in awhile, try raising a question that promotes thought or controversy. Steer away from sensitive subjects but give an opinion on a matter that has different viewpoints and see what your readers have to say. 2. Schedule your posts. Tweeting, Facebook posts, blogging and creating video content is time consuming. When you are working on multiple platforms everyday, it is smart to use a platform that allows you to schedule your posts. 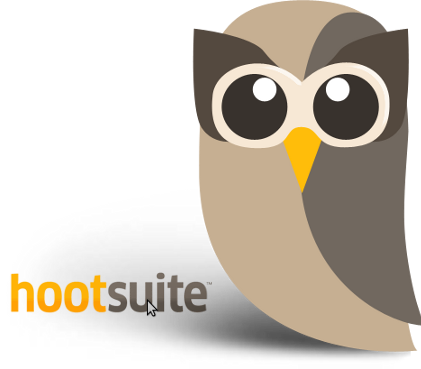 Try HootSuite or SocialOomph to plan your posts ahead of time so you can work on other social media strategies. 1. Be yourself! So you have entered the social media world for a business, and you want to be professional. That’s perfectly fine, but do not be boring! Try adding some jokes into your blog posts once in awhile or post a funny video for your Facebook fans. The more entertaining and interesting you make your content, the more likely people will engage, and the more followers you will have. 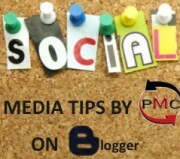 These are my favorite social media tips that we have provided for our followers. For more of our advice, visit our site dedicated to social media tips and tricks. Of course, feel free to share your own favorite tips below! ← Social Media, London Riots, and a City in Ruins.